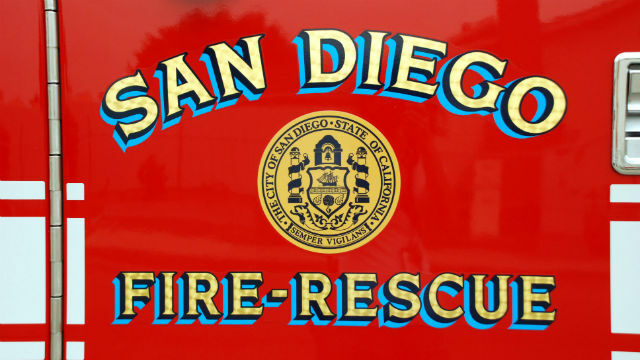 Authorities shut down lanes of Interstate 5 in downtown San Diego on Saturday as firefighters battled a small fire that broke out in palm trees near San Diego City College. The fire was first reported at 3:44 p.m., according to a California Highway Patrol incident log. The CHP closed the right two lanes of southbound I-5, leaving only the left two lanes open. Ramps onto I-5 were also closed in the area, including the ramps from C Street and Pershing Drive to southbound I-5, according to San Diego police Officer Robert Heims. Firefighters had the blaze knocked down by about 4 p.m., according to the San Diego Fire-Rescue Department. Lanes on I-5 were going to be closed for at least an hour while firefighters worked to clean up the blaze, the CHP log said.